Sell Your House Fast Tolleson AZ! Need to sell your house fast Tolleson AZ and surrounding areas…we’d like to make you a fair all-cash offer. And we’ll even GUARANTEE that offer and can have a check in your hand in as little as 5 days. Just give us a call at (602) 900-9327 to get a quick offer over the phone today…or fill out the simple form on this site. 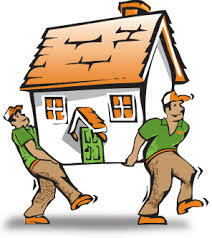 We buy houses in Tolleson AZ despite the condition… As-Is… let us take over the burden of that unwanted property. Selling your Tolleson AZ home shouldn’t be difficult. We Buy Houses In Arizona makes it easy and convenient for you. We will assess your property and situation and make you a fair cash offer for your home. If you go with an agent, you will be signing a contract that binds you with that agent for 6 months. This can tie your home up. What if you find a buyer yourself? What if the buyer pulls our from the deal at the last second? What if their bank loan falls through? The real estate agent will give you piles of paperwork to sign, shuffling the paperwork back and forth from the buyer to the agent and then to you….and back. It can all add stress, months to the process. 1) 6% sales commission on the sale of your home = $12,000 coming out of your pocket! 2) Closing costs which can amount to as much as 2% of the selling price = $4,000 out of your pocket! Plus home warranty costs for buyer = $500! Plus title insurance = $2000! 3) Anyone using a mortgage lender to buy your house will require an appraisal and a home inspection before closing = $600 out of your pocket! You will be hoping the appraised value matches the agreed selling price so that the lender will approve the loan. 4) Repair requests from your buyers who will be presented with a list of problems with your property found by the home inspector. Grand Total = $19,100 + Repairs to sell the $200,000 house + all the junk fees at the title office, you’re looking at approximately $20,000! We pay fast cash for your Tolleson AZ home! No need for real estate agents and their fees and the Realtor parade of continuous showings at all hours of the day. We help property owners just like you, in all kinds of situations. From divorce, foreclosure, death of a family member, burdensome rental property, and all kinds of other situations. We buy houses in Tolleson AZ and surrounding areas. Sometimes, those who own property simply have lives that are too busy to take the time to do all of things that typically need to be done to prepare to sell house fast … if that describes you, just let us know about the property you’d like to be rid of and sell your house fast for cash. The sale of your Tolleson home can help you achieve that. We do ALL the work and we will clean up after you. Leave those unwanted items behind and we will take care of it. We make it easy and hassle free for you. We pay cash for homes in Tolleson and we close on your house in as little as 5 days from the date you contact us or when it’s convenient for you.